Beginning at the end of Lenah Valley Road, cross the creek via the concrete bridge and head past the gates. 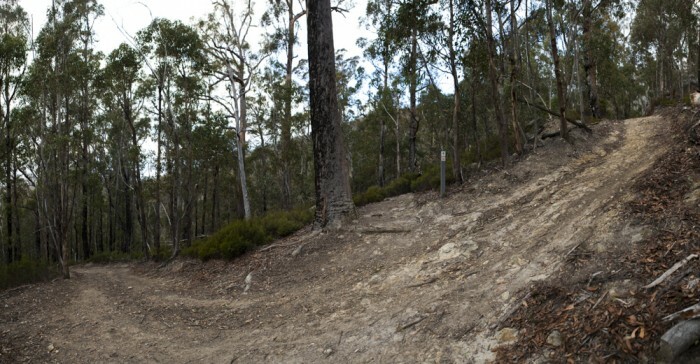 After 100m the trail forks and is followed to the right via the Lenah Valley Fire Trail; a well formed 4wd track. The trail climbs gently for the next 500m reaching an easily accessible section of the New Town Rivulet. Follow the Lenah Valley Track signposted nearby heading up a set of rock steps. The trail climbs for the next 20 minutes before coming to the Old Hobartian Track junction, marked by the ruins of an old stone hut. 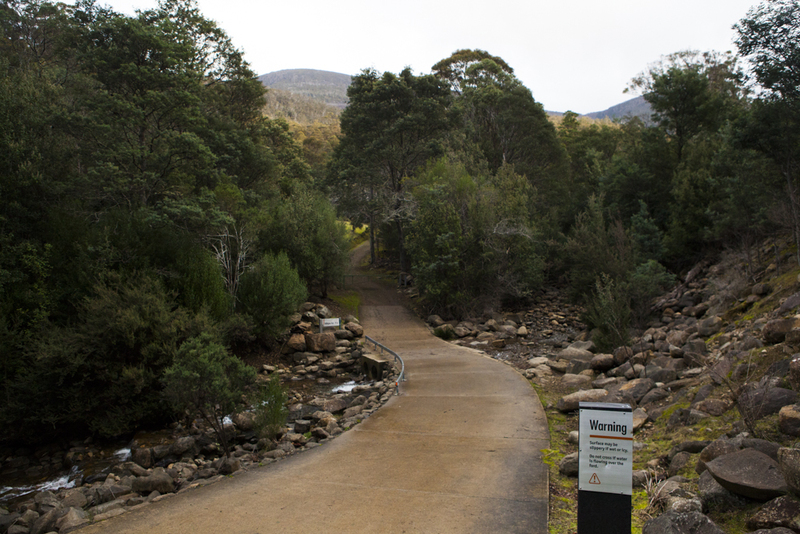 Continue to the left (New Town Falls is signposted) alone the Lenah Valley Track for 500m before coming to the fire trail. This section of the track is quite flat and easy going. Cross the fire trail and continue for another 500m to New Town Falls. The falls themselves are in 3 main sections, each of which can be accessed by steep paths on the opposite side of the falls. You can either return to the carpark via the same route, or head down hill at the fire trail junction. 200m later, take the left hand turn at the junction, returning you to the New Town Rivulet section of the hike. Many trails lead off from the Lenah Valley entrance to Wellington Park, though nearly all of them climb steeply to their destinations. Because of this, it is a less than ideal trail head from most of the park’s walks. 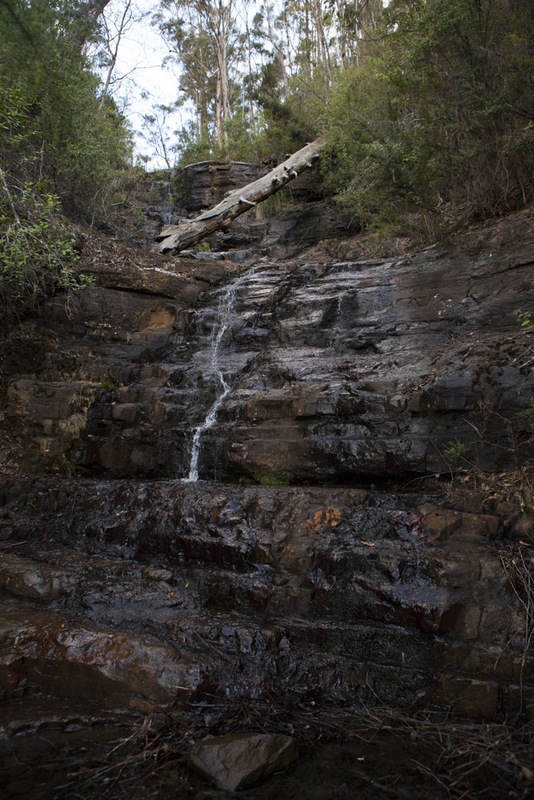 New Town Falls however is one exception due to its proximity to Lenah Valley. View Google Map Directions Head North from the center of Hobart via Elizabeth Street. Once on the outskirts of North Hobart turn left onto Augusta Road. Follow Augusta road for 2km before it turns into Lenah Valley Road. Follow this road to its end, 4km away.